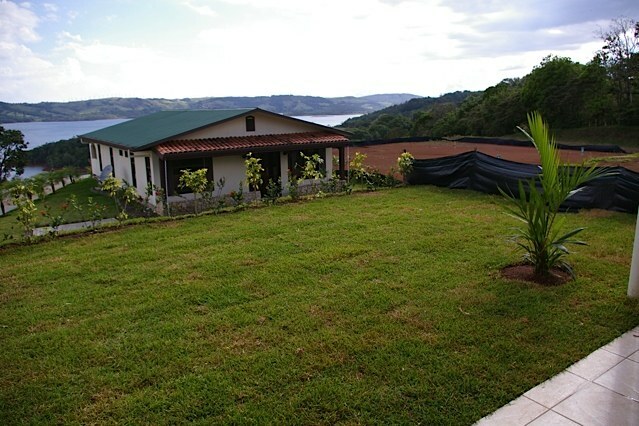 The spectacular sunsets are the highlight of this beautiful property of 73 acres with views of the Guanacaste Valley and Nicoya peninsula. The main house with spring fed pool off the porch was built in 2014. The second home, which is the original farmhouse, is used by the caretaker and his family, and there are several other farm buildings and corrals.The farm is currently in use for dairy cattle but is also suitable for horses, residential or tourism project, self sustaining living, etc. This newly build modern style home is located at the end of a rural street and in front of a small creek. The almost 1000 square feet of living space include 2 bedrooms and 2 full modern bathrooms, open living-dining space, kitchen and laundry area. 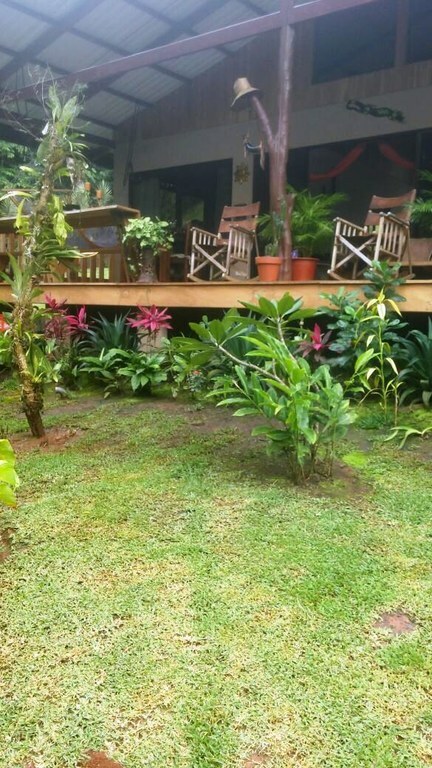 The extensive covered wood deck invites to enjoy your morning coffee and evening happy hour drink while watching many types of tropical animals in the forest along the creek. The large garden offers plenty of space for a pool, guest house, veggie garden, fruit trees, playground for children and many more options. The seller is motivated and listens to offers. 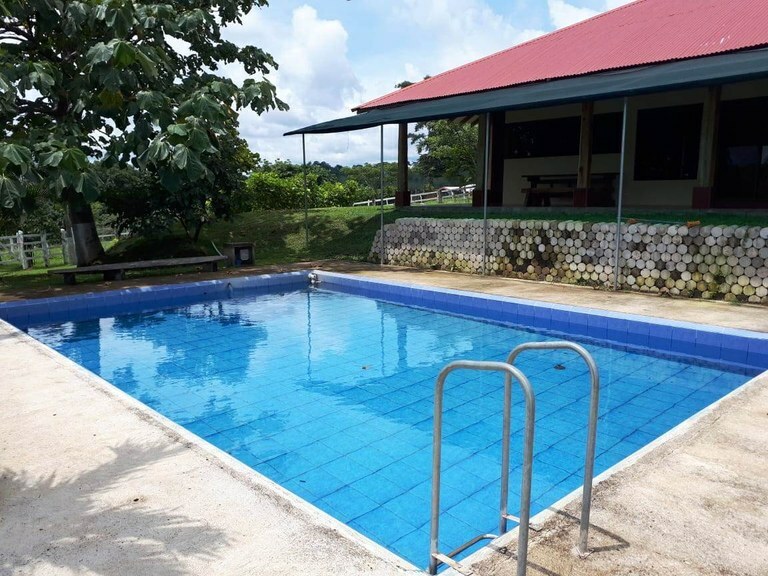 A perfect location midway between Nuevo Arenal and Tilaran this property would lend itself to a recreation center, recovery facility or other options with approximately 5000 square ft of living space, on just shy of 1 hectare of land that has been subdivided into two separate lots. 5 bedrooms 4 1/2 baths total. The house can be open and used as one big area, or divided into two units by closing off two dividing doors. When divided it is a 2 bed 1 bath on one side and 3 bed 3 1/2 bath on the other. There is a large enclosed garage/shop area that already has a bath plumbed into a separate septic system that could be converted into another living space and rented out. There is a small soccer field on the property. Various small fruit trees. The driveway leads through the property and can be accessed from the road by 2 entries, both with electric gates. The wiring is already in place for a swimming pool to be added and there is a Jacuzzi. The laundry is on the main level and can be accessed from both sides of the house by an exterior door. Plenty of room to build your dream home and a cabin to live in while constructing. 2.5 acres with all services just minutes from the main town of Tilaran. Building lot in upscale neighborhood at the edge of Tilaran. Paved roads. All services available. Excellent location. Reasonably priced to sell. 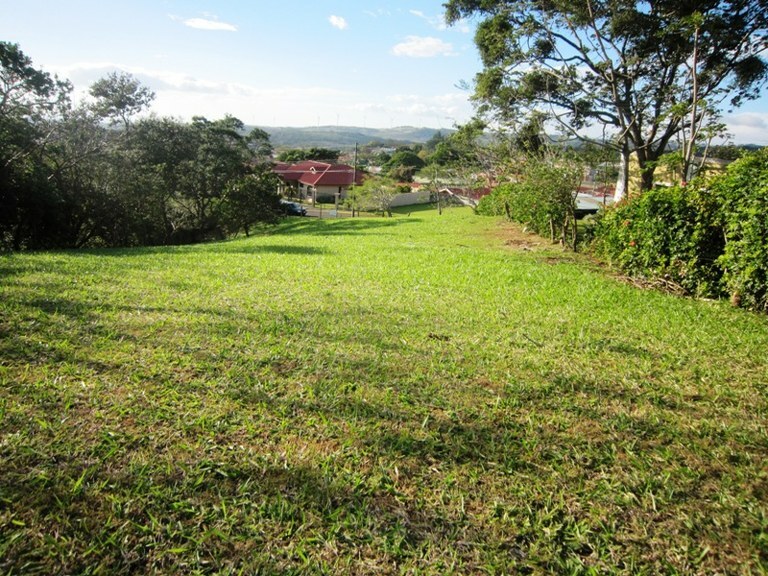 This is one of the larger lots in the development with plenty of room for several homes, pool, garden, etc. The lot is located 5 walking minutes from a small private school and 1/2 mile from town center with all amenities. In 15 Minutes you can drive to Lake Arenal with its many options for outdoor activities and some of the best restaurants in the area. The international airport Liberia is only a 90 Minutes drive away. Add another 25 Minutes and get to some of the most beautiful beaches in the Papagayo area. In 2 hours you can reach the Monteverde cloud forest or the world famous Tabacon Hot Springs near La Fortuna and the Arenal Volcano. Well established hospitality business with high occupancy rate all year round. 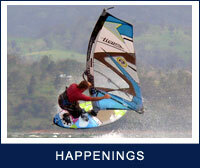 Located on the main lake road (paved) and only 15 Minutes from Tilaran and 90 Minutes from the Intl. Airport in Liberia. 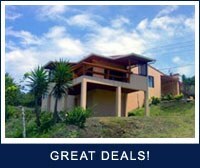 The owners are getting ready to retire and are offering this great opportunity at an extraordinarily low price. All buildings are very well built and in excellent condition. 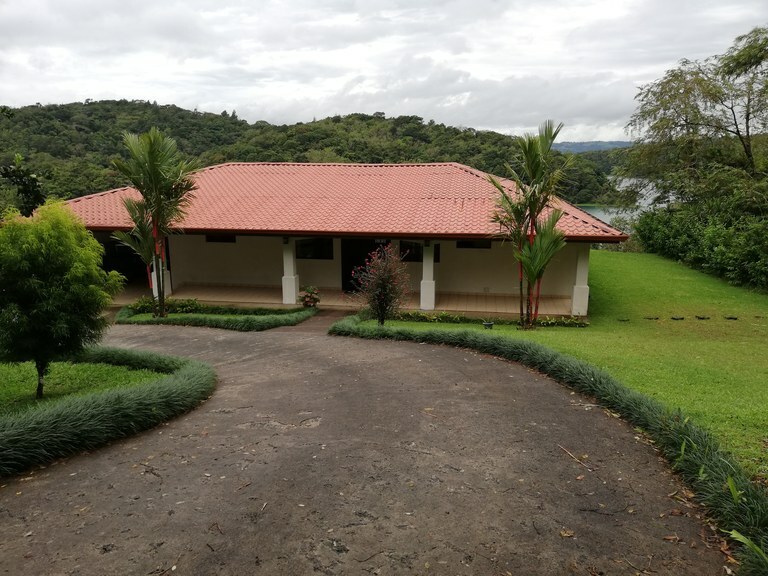 The property of 2.5 acres has its own water well and plenty of unused space for more buildings, a pool, rancho, animals, organic garden, restaurant etc. 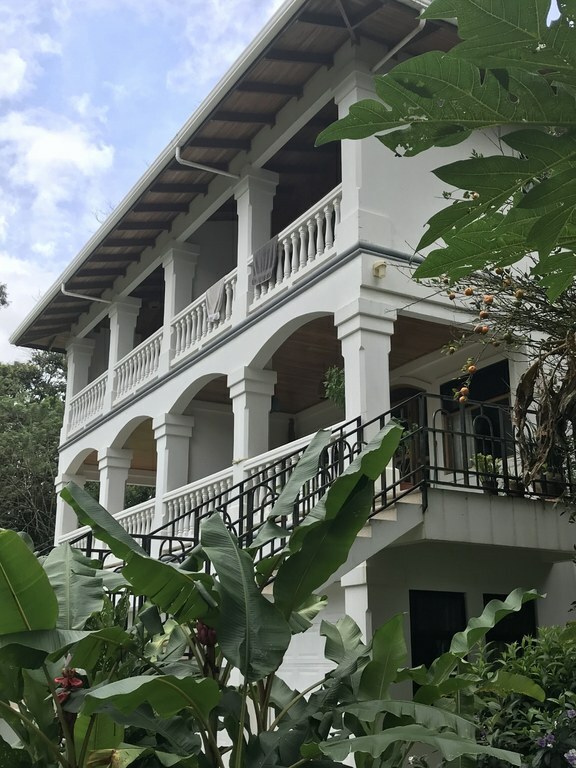 The following buildings are included: 1 Main residence, 1780 sq.ft, 3 bedrooms, 2 full baths, open concept living/dining/kitchen, large covered porch, laundry area. 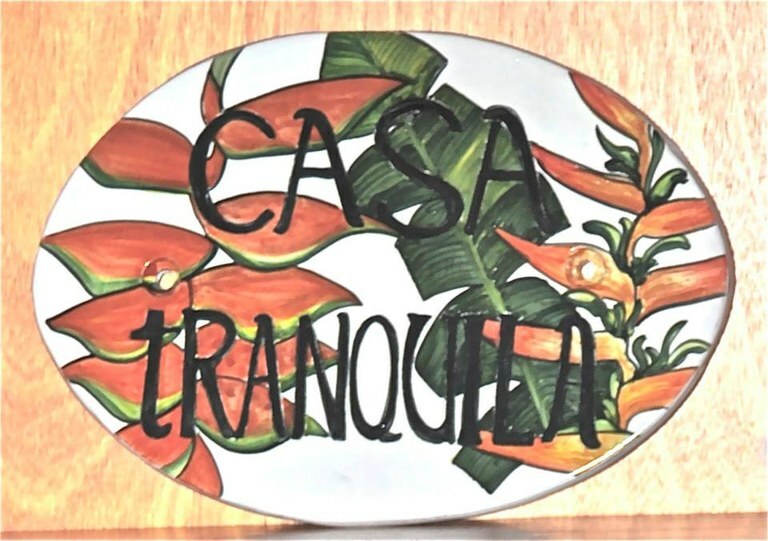 5 separate guest bungalows in different sizes, 1 bedroom and 1 bath each. 1 Storage building / covered Carport / Laundry room. Total constructed area 4844 square feet (main house, guest bungalows, utility building) A solar system is providing hot water to all buildings. 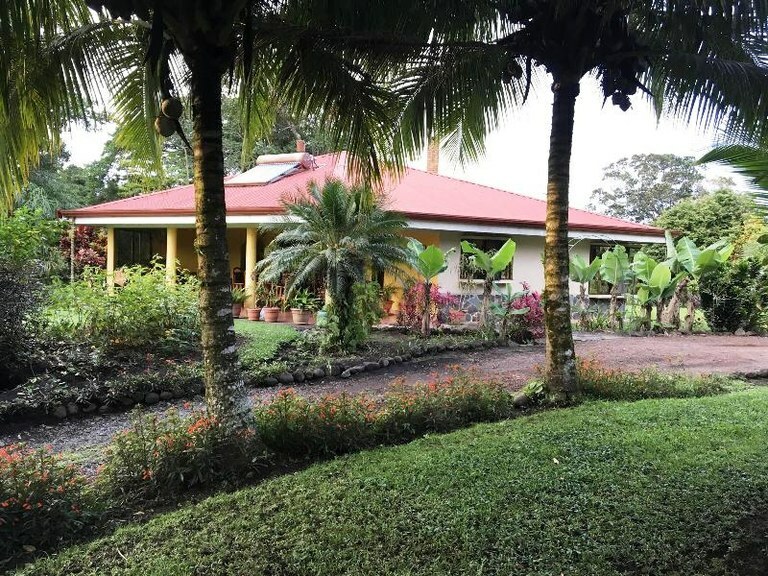 The property has a large variety of fruit trees, such as bananas and plantains, 2 different types of oranges, 3 different types of lemon trees, papaya trees, star fruit, coconuts, cocoa, grapefruit, tangerines, kumquats, guanabana, guayaba, passion fruit, macadamia nuts, pineapple plants, blackberries, Uchuva, Moringa, Cas fruit and a small vegetable garden. The property backs up to a forested area where many tropical animals and birds can be observed. The lake Arenal area is centrally located and many touristic attractions can be reached on a daytrip, to include some of the beautiful pacific beaches, Monteverde cloud forest, Vientos Frescos Waterfalls, Rio Celeste (the blue river), Corobici River Rafting, Arenal Volcano, Tabacon Hot Springs and the tourist town La Fortuna. The quaint town of Tilaran offers everything for your daily needs. For major shopping one can make a trip to Liberia (Walmart) or San Jose (PriceSmart) etc. 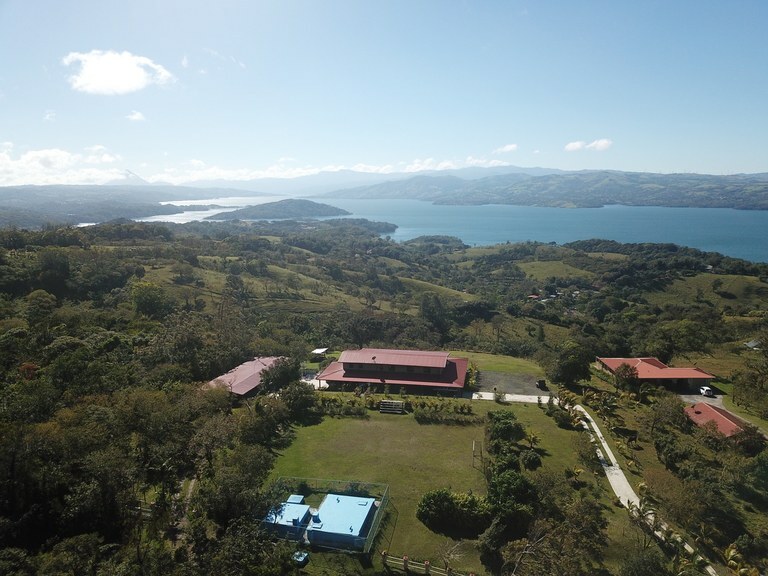 Lake Arenal is also famous for its many options of outdoor activities, such as hiking, biking, horseback riding, windsurfing, wake boarding and paddle boarding. The area is home to many expats from all over the world who will be more than happy to welcome you to the neighborhood.